A top govt official said Pakistan’s Tuesday crackdown, in which Masood Azhar’s brother and 43 others have been arrested, is ‘old wine in new bottle’. New Delhi: The government of India does not believe Pakistan’s claims that it is cracking down on terrorist organisations that have their bases in that country. According to a government top official, India is keen to see that Pakistan takes some “demonstrable” action on terrorists and terror outfits that are located inside its territory. 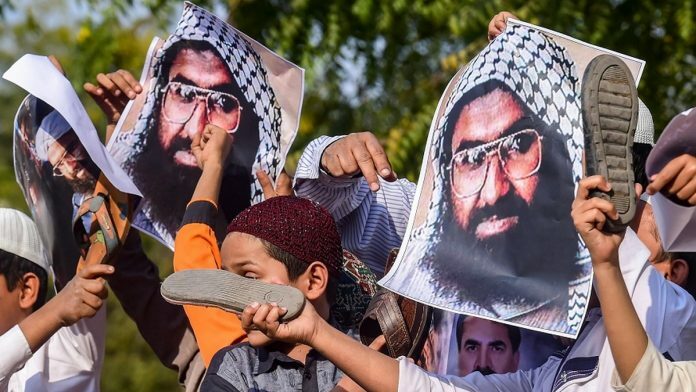 Pakistan Tuesday claimed to have arrested 44 members of banned outfits, including a brother of Jaish-e-Mohammed chief Masood Azhar, amid mounting pressure from the global community to rein in the terror groups operating on its soil and curb their financing. He said a dossier shared by India with Pakistan last week also contained names of Mufti Abdur Rauf and Hammad Azhar. He, however, said the action was not taken due to any pressure. The minister said action would be taken against all the proscribed organisations. However, the Indian official, who wished to remain anonymous, said India wants “Naya Pakistan”, as Prime Minister Imran Khan has branded it, to take “naya action” on terrorists, and not put “old wine in a new bottle”. This comes after Pakistan claimed it had taken action on some terror outfits like the Jaish-e-Mohammed, Jamaat-ud-Dawa and the Falah-e-Insaniat Foundation among others. In order to get JeM chief Masood Azhar listed as a global terrorist at the UN, sources said India is in constant dialogue with the P5, the five permanent members of the United Nations Security Council, to move the UN 1267 Sanctions Committee, which has the power to enlist him as an internationally-recognised terrorist. At present, the UNSC is seeking clarifications from countries, the deadline for which is 13 March, after which the 1267 committee will meet and could officially enlist him. However, the main hurdle in this process could remain China. Beijing has thrice vetoed attempts to tag Azhar a global terrorist, but this time, India is hopeful China may finally come on board and support it as it was one of the 15 countries that adopted the UN’s statement on condemning the Pulwama terror attack. Sources also said India is being able to diplomatically isolate Pakistan through various platforms like the Organisation of Islamic Cooperation and the Financial Action Task Force.